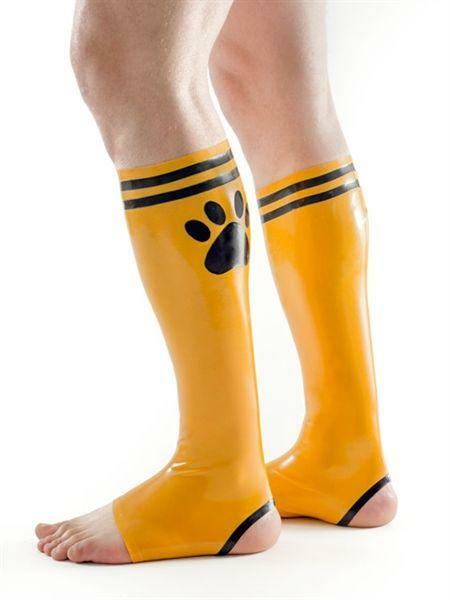 Mister B FETCH Rubber Puppy Football Socks Red Black These Mister B FETCH Rubber Puppy Football Socks are available in four different colour combinations, each in two sizes. 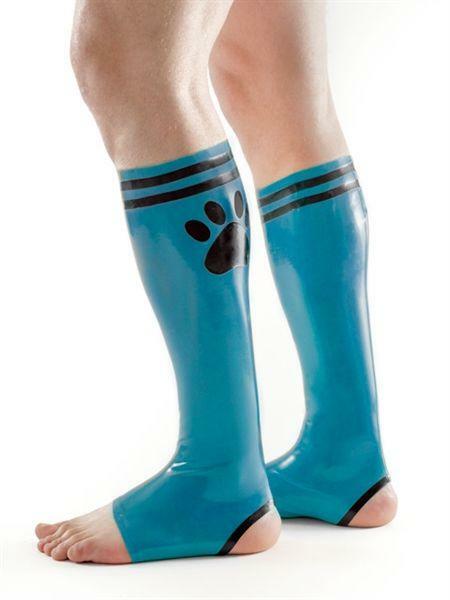 With two stripes and paw print appliqué, these socks are great to complete your outfit as rubber or sporty pup. 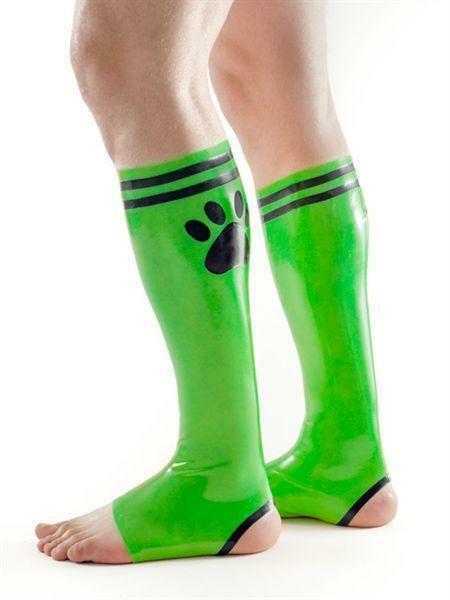 The design of these socks lacks a heel and toes on purpose: they not only last longer, it also prevents excess sweat gathering in the socks. Handcrafted in Europe for Mister B out of 0.35 mm thick natural latex. Size information (approximate): - S/M: Height heel to top: 43 cm. Calf 34 cm. Top circumference 33 cm. Ankle circumference 22 cm. - L/XL: Height heel to top: 45 cm. Calf 38 cm. Top circumference 37 cm. Ankle circumference 25 cm.